Witness documents only refer to case number 04/2018, which refers to the January violence near Pune. In a coordinated set of raids in six cities on Tuesday morning, the Pune police searched the homes of ten human rights activists involved in local movements across the country, arresting five of them. The operation follows the arrests in June of five activists and lawyers from Maharashtra and Delhi, all for allegedly instigating or promoting violence at Bhima Koregaon near Pune in January. Every year, lakhs of Dalits gather here on January 1 to commemorate the victory of a ragtag group of Mahar soldiers fighting under the British flag in 1818 over the vastly superior forces of the Peshwa. 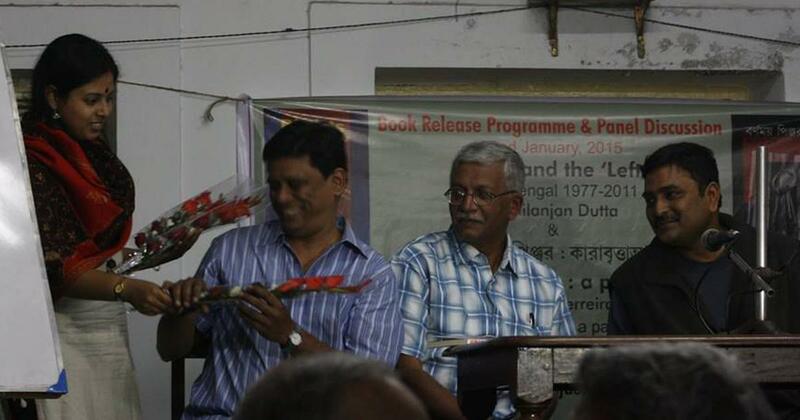 This year, the event was marred by caste clashes. The Pune police claim that the violence was not sparked by the widely reported inflammatory speeches made by Hindutva leaders days before the January 1 event. Instead, the authorities claim that the clashes were the culmination of a plot by so-called Maoist leaders who organised a public meeting in Pune the day before the Bhima Koregaon event and instigated the violence. The police claimed to have recovered a letter from the laptop of one of the five activists arrested in June. The alleged letter, the police claimed, suggested that Maoist organisations were planning to assassinate Prime Minister Narendra Modi. At the time, Opposition politicians had derided the letter as fictitious and said it was being used to garner sympathy for the Bharatiya Janata Party leader. In June, during a bail hearing for the accused, the public prosecutor read out the letters in the sessions court in Pune but did not formally submit them, NDTV reported. 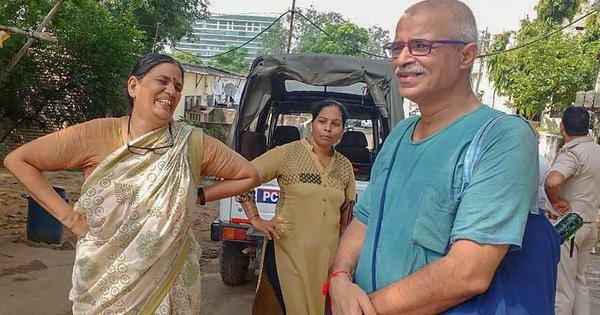 Scroll.in has accessed the panchnama or witness documents from the seizures at the homes of two of activists who were raided: human rights lawyer Sudha Bharadwaj and activist Stan Swamy. Scroll.in also has a copy of the letter sent by the Pune police to the Ranchi police requesting it to conduct a search operation on Swamy’s home and office in the city, as well as the search warrant for activist Vernon Gonsalves. Contrary to what many news organisations and channels are suggesting, there is no mention in any of these documents of the alleged plot to attack Modi. The documents only refer to case number 04/2018, which is the Bhima Koregaon investigation case. Apart from Bharadwaj who was arrested from Faridabad in Haryana, four other activists were arrested: Vernon Gonsalves and Arun Ferreira in Mumbai, Varavara Rao in Hyderabad, and Gautam Navlakha in Delhi. Barring Navlakha who has received a stay from the Delhi High Court, the others will be transferred to Pune, where the five arrested in June are being held. Swamy was not arrested. The witness documents are striking in that they identify the same sections of the Indian Penal Code and the Unlawful Activities (Prevention) Act of 1967, in the same order, suggesting that others who were raided are also being investigated under the same sections. Under the Unlawful Activities (Prevention) Act, as amended in 2012, Bharadwaj and Swamy have been investigated under sections 13, 16, 17, 18, 18 (b), 20, 38, 39 and 40. While section 13 is a generic section that says that anyone who participates in unlawful activities or association shall be liable for five to seven years in jail, the other sections relate to more serious charges of terrorism. The sections include punishment for those involved in causing the death of another person through a terrorist act, fundraising for a terrorist act, conspiracy to commit a terrorist act, recruiting people to commit terrorist acts, being a member of a terrorist organisation, supporting a terrorist organisation and raising funds for a terrorist organisation. The punishment for these sections ranges from five years to life imprisonment or death. The terrorist organisation in question here is presumably a Maoist organisation, as the police has suggested earlier. Bharadwaj and Swamy are also being investigated under sections 153(a), 505(1)(b), 117, 120(b) and 34 of the Indian Penal Code for promoting religious enmity, circulating statements, rumours or reports with an intent to cause fear in the public, abetting commission of offence by the public, criminal conspiracy and acts done by several people with a common intention.